Everybody's Golf opens at 100,719 sales. 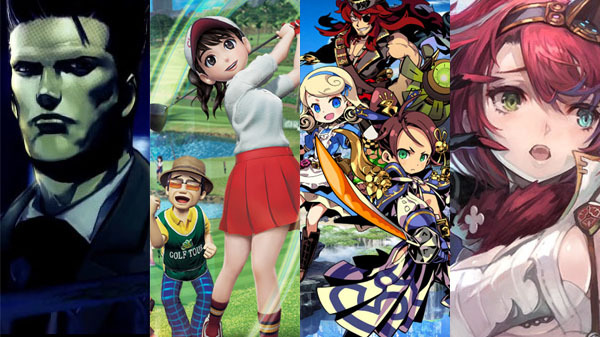 Everybody’s Golf, the first PlayStation 4 entry in the long-running golf series, sold 100,719 during its first week of release in Japan, the latest Media Create sales figures reveal. Etrian Mystery Dungeon 2, Atlus and Spike Chunsoft’s Etrian Odyssey and Mystery Dungeon crossover sequel for 3DS, opened at 29,887 sales. Also new this week, Gust’s Nights of Azure 2: Bride of the New Moon launched at 18,207 copies sold on PlayStation 4, 7,168 copies on PS Vita, and 4,463 copies on Switch for a total of 29,838 sales. Finally, the PlayStation 4 version of Resident Evil: Revelations opened at 9,260 sales, and Arc System Works’ Jake Hunter Detective Story: Ghost of the Dusk for 3DS opened at 6,132 sales.